ExoClick Rebrands, Launches Adult Ad Exchange | PornUNeed - Adult content and industry news. BARCELONA — ExoClick has announced its expansion to now offer two product segments: an ad network as a continuation of its current business, along with a new ad exchange to push the industry forward into an era of open ad management. As a result of this, the company has rebranded itself as “The Innovative Ad Company,” with an aim of providing global ad services to its customers. 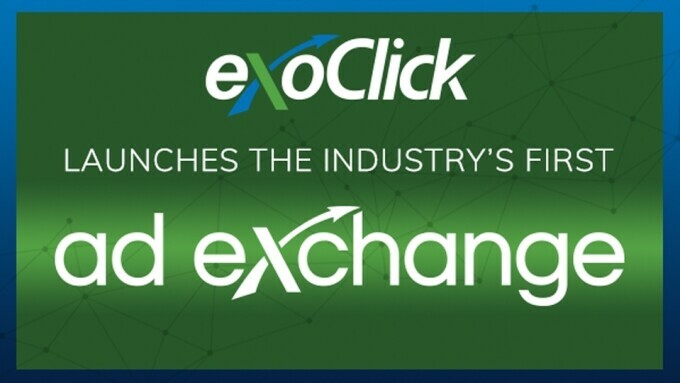 According to the company, ExoClick’s new ad exchange enables publishers to monetize their traffic not only with ExoClick’s ad network but also with other ad networks and DSPs. Currently, ExoClick’s ad exchange already has more than 30 partners plugged in and the company is adding more demand platforms each day. Advertisers can now plug into ExoClick’s RTB exchange engine, giving them access to multiple sources of direct quality inventory. The ad exchange’s RTB engine allows advertisers to scale up their campaigns by gaining access to a global marketplace of 6 billion daily ad impressions. CEO Benjamin Fonzé says ExoClick is the first company to offer an ad exchange to the adult entertainment industry. Fonzé also revealed “this is just the start of a range of new products that we intend to launch in the near future,” while noting that to ensure a high level of quality, publishers, ad networks and DSPs who wish to access ExoClick’s ad exchange will have to meet certain criteria before being accepted. For more information, click here or email help@exoclick.com.